It’s almost here!! We are so excited that our Athletes will be heading to Orlando very soon! Below is some tentative information on the Event. Be sure to check back often for updated schedules – we will post them as we receive them. *Families traveling to Orlando for this even may stay at any hotel they choose. Many of the parents of Varsity athletes are staying at the Courtyard Orlando Lake Buena Vista in Marriott Village. 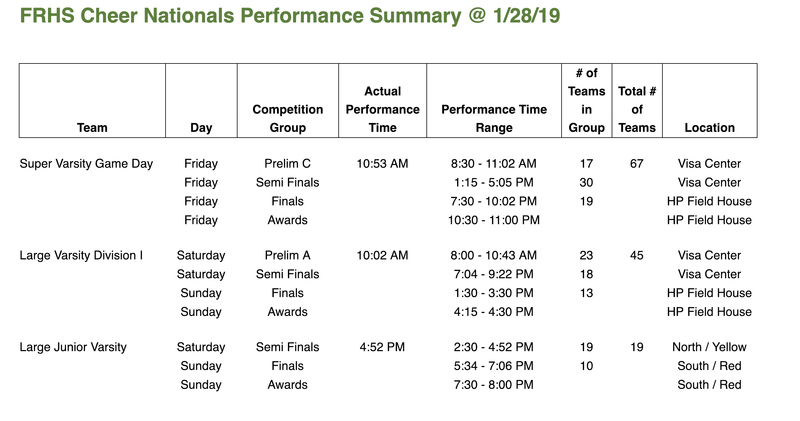 To view all possible performances, plan to arrive in Orlando on Thursday, February 7 and return on Monday, February 11. For Parents and friends not traveling to Orlando, you can view the event via live stream on the Varsity Website. Note: There is a one-time cost.